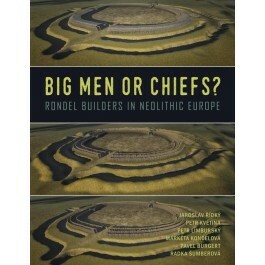 If there is a feature of the Central European Neolithic period that deserves increased attention of researchers and all those with interest in prehistory, it is circular architecture of the dimensions of many tens of metres, from which only negative imprints of the ditches and imprints of posts in the form of postholes or narrow trenches are preserved to this day. The reason is that it offers quite a different insight into the skills and interpersonal relationships of ancient societies that lived in Europe in the first half of the fifth millennium BC. The authors of the book ask whether these structures, most often termed rondels, can be regarded as ‘architecture of power’ – the first clear evidence of thought-out power strategies of some individuals or their groups. Using anthropological terms – were they skilful and exceptional entrepreneurs with an ad hoc status (such as Big Men) living in egalitarian/segmented communities, or rather powerful Chiefs living in rank and hereditary based societies/chiefdoms? In the introduction, the book points out the difficulties that necessarily arise when cultural (social) anthropology and archaeology join forces in an attempt to generalise information about kinship and socio-political relationships, in an effort to project them into the world of archaic societies that are only known from material culture in the archaeological record. After summing up various hypotheses, the authors use selected sites, results and often only recently processed terrain research projects to summarise more information about the settlements and burials in order to present the important period in which an attempt at accumulation of power took place, perhaps not the first but definitely not the last in European prehistory. Besides other methods used in archaeology to evaluate the archaeological record, the book devotes an important chapter to the radiocarbon dating method, which may – with a critical assessment of the outcomes of dating of carefully selected samples – bring fundamental information not only about dating itself but also about the limits of archaeological sources. Welcome to the world of rondel builders, from whom we are separated by nearly 280 generations of people!